On the doorstep of Western Crete, only 30 minutes from the Venetian town of Chania, is the small working village of Xamoudochori. Set in an olive grove on the edge of the village, overlooking fabulous countryside, is Helen & Sean’s “Arete”. 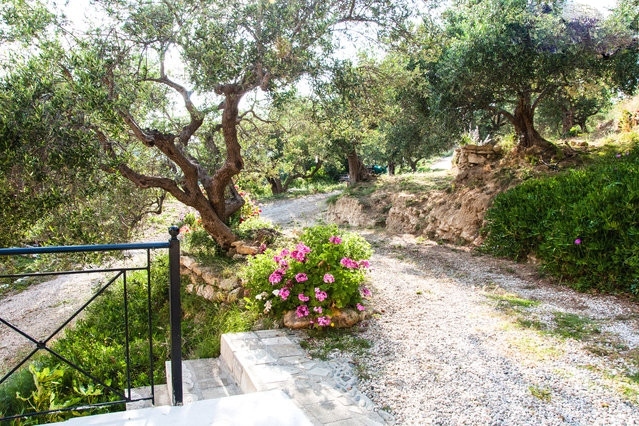 A unique property, run as a smallholding/Hobby farm, offering the rural experience of village life, located conveniently but not too closely to the coastal tourist attractions of Maleme & Platanias. 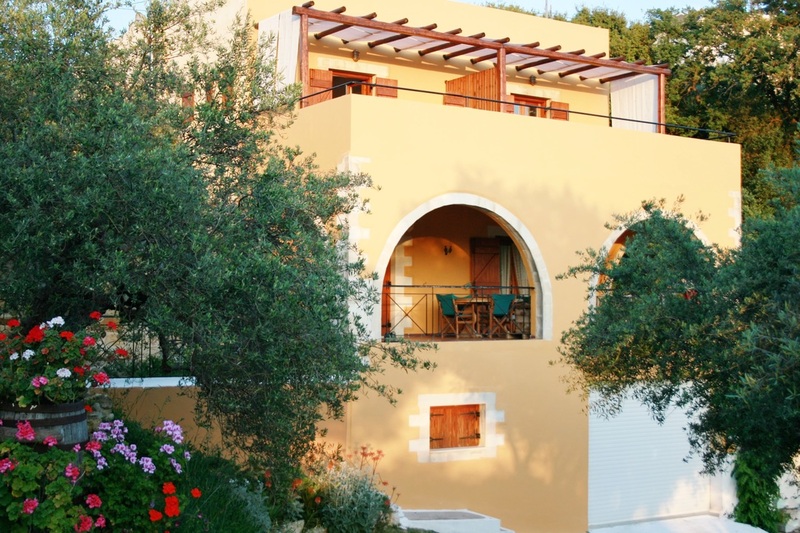 An ideal location for walkers, bird-watchers, history and archeology enthusiasts, Arete has two spacious, fully equipped, self-catering apartments offering the perfect base from where to explore or just to relax and enjoy the Cretan countryside. JUST 2 self-catering apartments, each sleeping 2 people. SPACIOUS (42 sq meters each) and fully equipped for self-catering, both apartments are situated on the first floor of a British couples home who live here all year round. PRIVATE PARKING and independent access to the apartments give guests the freedom to come and go as they please. 2 BALCONIES PER APARTMENT, a private rear balcony off the bedroom and a large front balcony off the kitchen, shower room, dining area and fully equipped kitchen. Talos on the courtyard couch. AGRO TOURISM, we have vegetable gardens, chickens, ducks, olive trees, a fabulous flower garden, a walled courtyard and abundant wildlife. POPULAR destinations such as Paleochora, Sougia, Elafonisi and many more are just an unforgettable drive away, across west Crete's dramatic countryside and coastal roads. CropArt. Made from fresh produce from Arete's organic kitchen garden. We, the owners Helen & Sean, live here on this wonderful island all year round and can give you local information and advice on where to visit and how to get there, where to eat and much much more. We happily take guests on local walks around the area and further afield for more adventurous walks, just ask for more information.